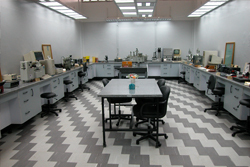 Our division is the pioneer in Egypt for the supply and installation of Laboratory Furniture having the highest quality at affordable prices. Base Units made from laminated plywood or Epoxy coated steel. Designed and supplied by Etico Scientific according to International Standards. Metallic Chassis specially designed by Etico Scientific. Epoxy coated to ensure corrosion resistance. Fixed to wall to prevent vibration. Supplied with level adjustment mechanism. Service Fixtures manufactured by WaterSaver Faucet Co., USA. Deck mounted type. Electric sockets according to Egyptian standards. Standards models available from stock. Fume Hoods we only supply fume hoods tested according to ASHRAE 110 and International standards. Large variety of sizes and specialty laboratory fume hoods available. We have the capability and experience to design and install fume hoods and fume extraction systems. Motor Blowers and Air Flow Controllers manufactured by S.E.A.T., France. Motor blowers made fully of polypropylene to resist chemicals and weather conditions. Easy to install and provide excellent flow. Available from stock. Safety Equipment manufactured by WaterSaver Faucet Co., USA. Product list include emergency showers, eye washes, drench hose units, etc. Wide variety of designs and materials. Most models available from stock. Balance Tables manufactured from chemical resistant worktop with sturdy chassis and vibration absorbers. Different sizes available.